Les was born in the small mining town of Brakpan, roughly forty kilometres from Johannesburg. His parents immigrated to South Africa from Lithuania in 1928 and had three children. Les’ wife, Joan, an only child, was born in Johannesburg. Once married, the couple lived in Johannesburg for seven years before moving to Cape Town, where they resided for another 15 years. Joan and Les had three children together: Stan (born 1968) and Evan and Delia (born 1971). Joan and Les had not entertained any ideas of leaving South Africa prior to their eldest son, Stan, telling them he intended to settle overseas upon completing his university studies. Realizing their three children could easily end up in three different countries, Joan and Les resolved to emigrate as a family. An ideal opportunity subsequently arose while Les was attending a conference in Lisbon in 1987. Two program leaders informed him they would help him find work if he should decide to immigrate to Canada. That June, Les and his wife took a trip to Canada and the United States with the result that he was offered a position as a senior consultant and trainer at a marketing and sales consulting company in Toronto. Although their immigration suffered a number of setbacks (it took five years for Les to receive landed status), it was ultimately successful. Les worked for Tandem International and the Sales Development Group and even founded his own company called Just Solutions Inc. In 2003, he joined his son Stan’s real estate brokerage called Real Facilities. Today, he is retired and enjoying being a grandfather to his five grandchildren. 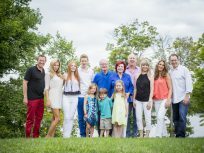 In 2017, the family celebrated 30 years in Canada. 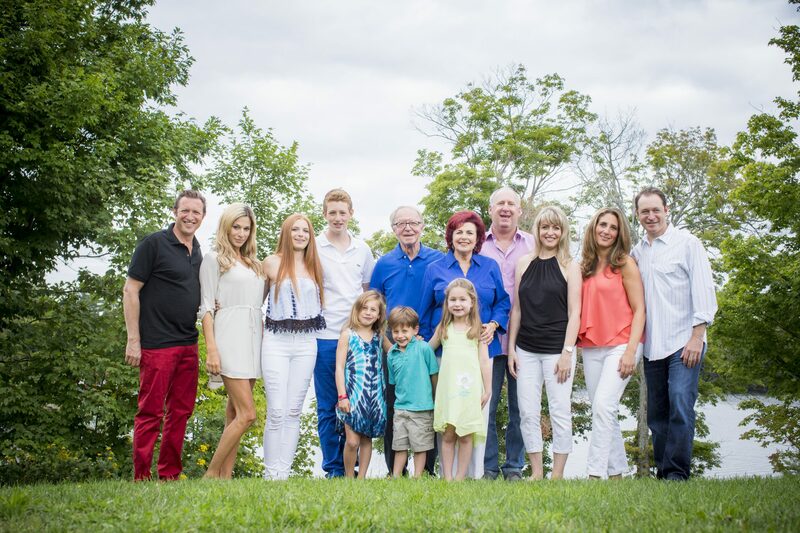 Krawitz family in Muskoka, Ontario, 2015. Ontario Jewish Archives, Blankenstein Family Heritage Centre, accession 2016-2-3.